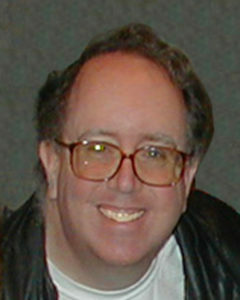 CRAIG GUSTAFSON – A Life Member, Craig directed Silent Laughter for WDI this fall. Playwright: Craig’s one-act play Lending a Hand will be published in the anthology The Best 10 Minute Plays 2019. Directed at WDI: The Producers, The Drowsy Chaperone, Chicago, The Music Man, Lucky Stiff, Into the Woods, others. At other theaters: Waiting for Godot, The Pillowman, Crumbs in Bed, Urinetown, Noises Off, Assassins, The Outgoing Tide, many others. Acting: The Foreigner (Charlie), Chicago (Amos Hart), The House of Blue Leaves (Artie), A Funny Thing Happened on the Way to the Forum (Pseudolus), Twelfth Night (Sir Toby Belch), many others. Craig is matrimonially ensconced with the daringly freckled & scandalously redheaded Margie. They were married twenty years ago (July, 1998) on the Wheaton Drama stage.